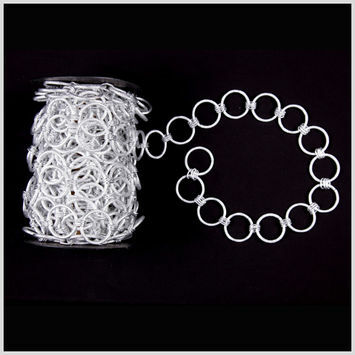 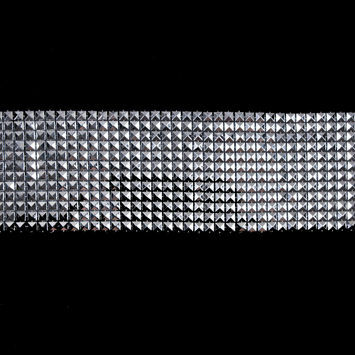 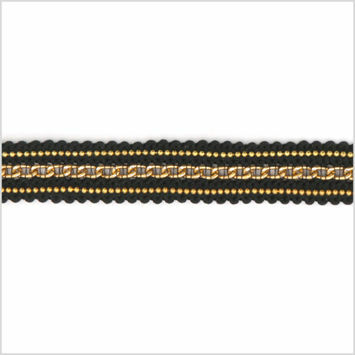 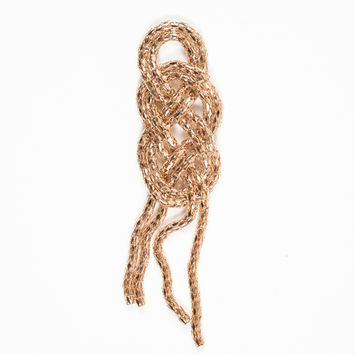 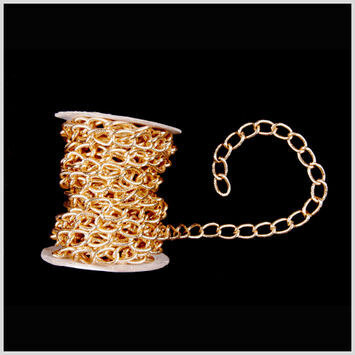 Decorative Metal Chain Trims are ideal for adding a touch of something flashy to any garment. 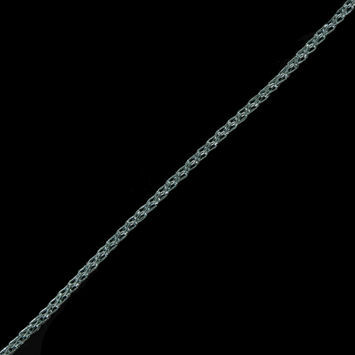 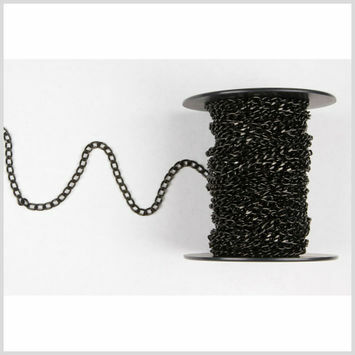 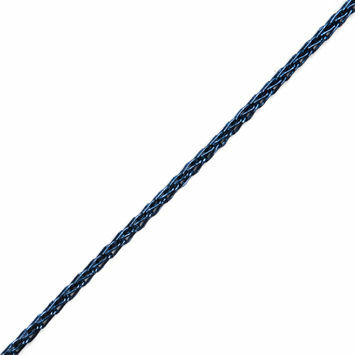 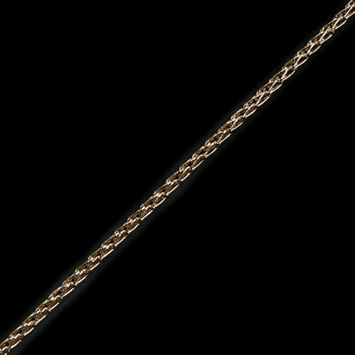 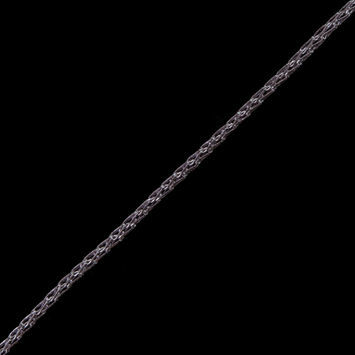 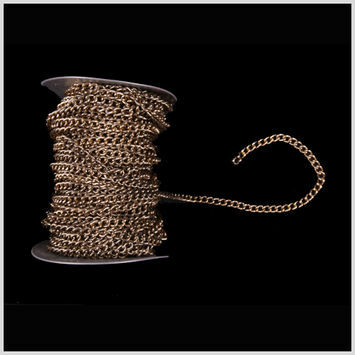 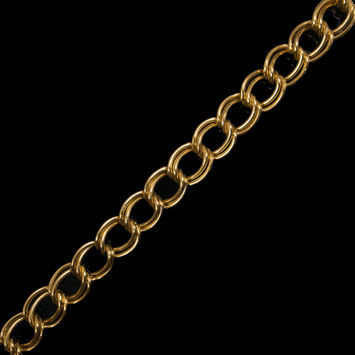 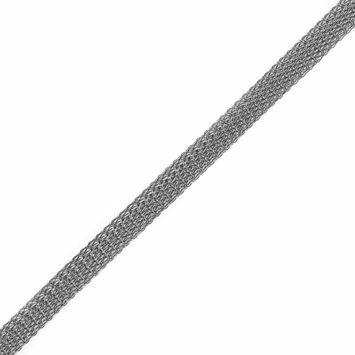 A chain is a series of links that act similarly to rope in flexibility and malleability. 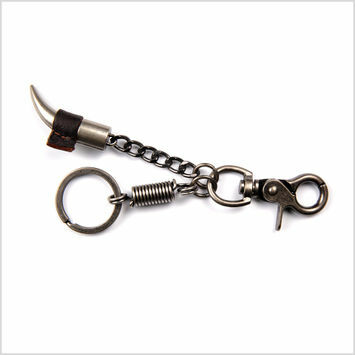 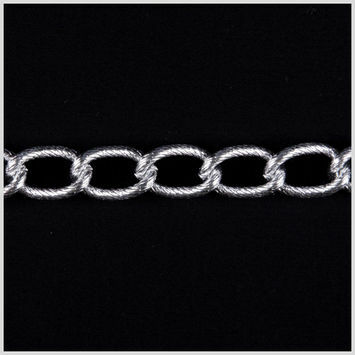 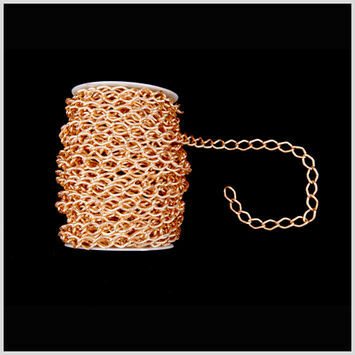 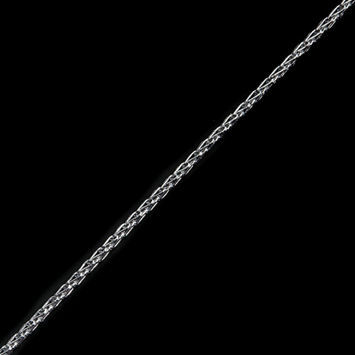 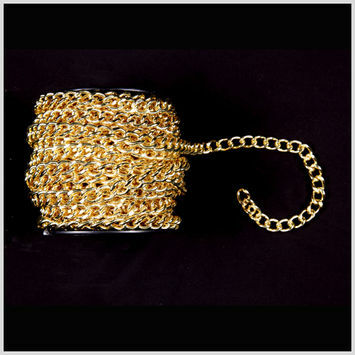 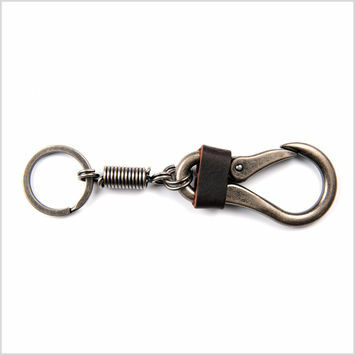 Decorative chain is popular as a wallet attachment or simple necklace. 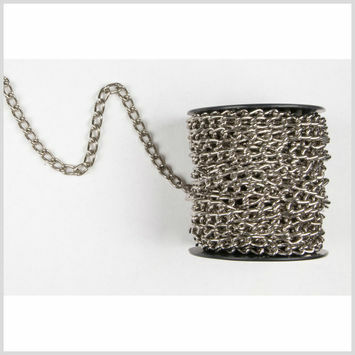 Utilize decorative metal chain on a blouse with a low cowl back or as a fringe on a couture denim jacket. Gold Aluminum Metal Chain - 1"
Metallic Glacier Blue Crochet Chain - 0.125"
Metallic Orchid Ice Crochet Chain - 0.125"
Metallic Indigo Crochet Chain - 0.125"
Metallic Gold Crochet Chain - 0.125"
Copper Knit Metal Trim - 0.375"
Gold Knit Metal Trim - 0.375"
Pewter Knit Metal Trim - 0.375"
Metallic Magenta Crochet Chain - 0.125"
Metallic Pewter Crochet Chain - 0.125"
Metallic Silver Crochet Chain - 0.125"
Metallic Navy Crochet Chain - 0.125"
Metallic Blue Crochet Chain - 0.125"